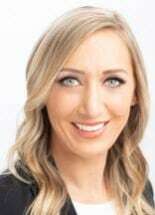 Nicole Ricotta is the Managing Partner at Anticouni & Associates. She has worked for the firm for eight years. Ms. Ricotta graduated from Loyola Marymount University with a Bachelor of Arts in Sociology. She received her Juris Doctorate from the Santa Barbara College of Law. Ms. Ricotta represents both Employers and Employees. She oversees the firm's complex litigation including Wage and Hour Class Actions. Ms. Ricotta is licensed to practice in the State of California and is an active member of the California State Bar, California Employment Lawyers Association, Santa Barbara Women Lawyers, Santa Barbara Barristers, Santa Barbara County Bar Association and the William L. Gordon Inns of Court.